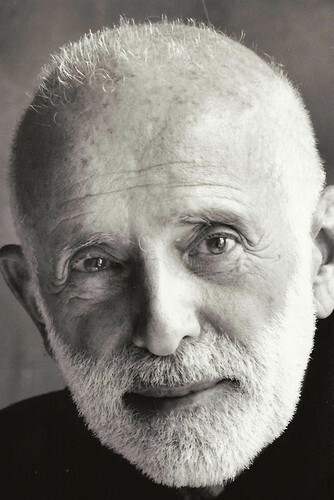 Jerome Robbins (1918–98) was the greatest American-born choreographer of the 20th century and one of the most influential figures in Broadway. He played a crucial role in the development of both American Ballet Theatre and New York City Ballet. His seminal ballets include Afternoon of a Faun (1953), The Concert (1956), Dances at a Gathering (1969) and In the Night (1970), all of which are in the repertories of The Royal Ballet and of companies around the world. Robbins was born Jerome Rabinowitz in 1918 and grew up in New Jersey. He first learnt dancing from his sister Sonya and later studied modern dance at the Dance Center with Senia Glück-Sandor and Felicia Sorel, while also studying ballet with Ella Daganova and Spanish and Asian dance. Robbins joined the corps de ballet of the Ballet Theatre (later ABT) in 1940. His first work for Ballet Theatre was Fancy Free (1944), expanded the following year into On the Town for Broadway. Its success made Robbins the most sought-after choreographer on Broadway, his most popular subsequent works including The King and I (1951), West Side Story (1957) and Fiddler on the Roof (1964). He created his first work for NYCB, The Guests, in 1949, and through the rest of his life retained close links with both NYCB and ABT, and with George Balanchine, whose works were a tremendous influence. Robbins was a pioneer in creating ballets that were intended to reflect his own era. His works are marked by his unique comic gift, his intelligence and deep musical sensitivity.